The Austrian Glock company produced the Glock 19 a few years after the standard Glock 17 had revolutionized the way guns are made. 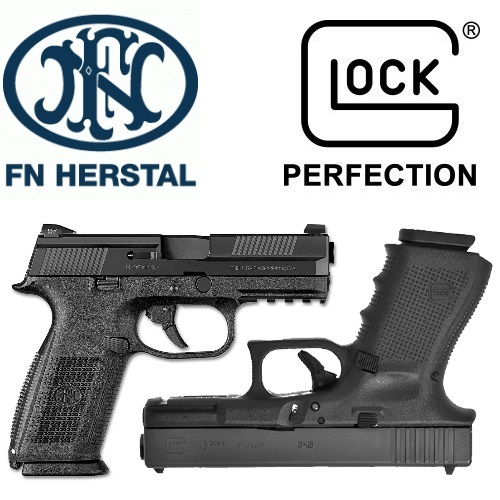 The highly-advanced polymer-2 materials which Gaston Glock engineered were second to none. People who laughed at the idea of a “plastic gun” were eating their well-earned humble pie, and Glock made a respectable name for itself. After a time, the company found that many people were interested in the G17’s advantages, but wished for them to come in a smaller package. In 1988, heeding that growing demand, Glock released the Glock 19 compact handgun, and it was a hit. 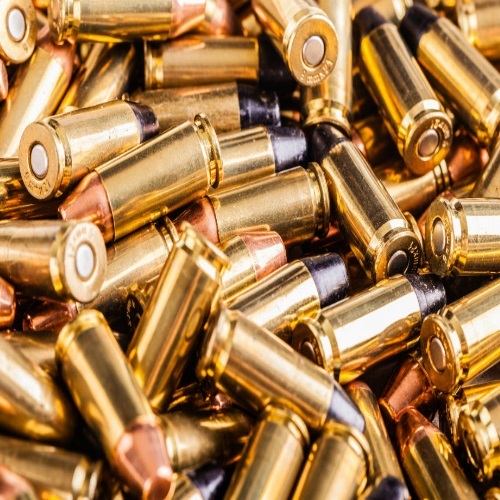 To this day, it remains one of the most popular firearms in the world, and it is used by civilians, law-enforcement, and military on a daily basis. In some countries, the Glock 19 is issued to Special Forces (police and army) as a backup weapon. When it comes to Glock 17 vs 19, there are not many differences, since in many ways the model 19 was literally just a shorter version of the G17. But the 26 is a different story. The “Baby Glock” model 26 was released in 1995, as a subcompact version of the 9X19mm. 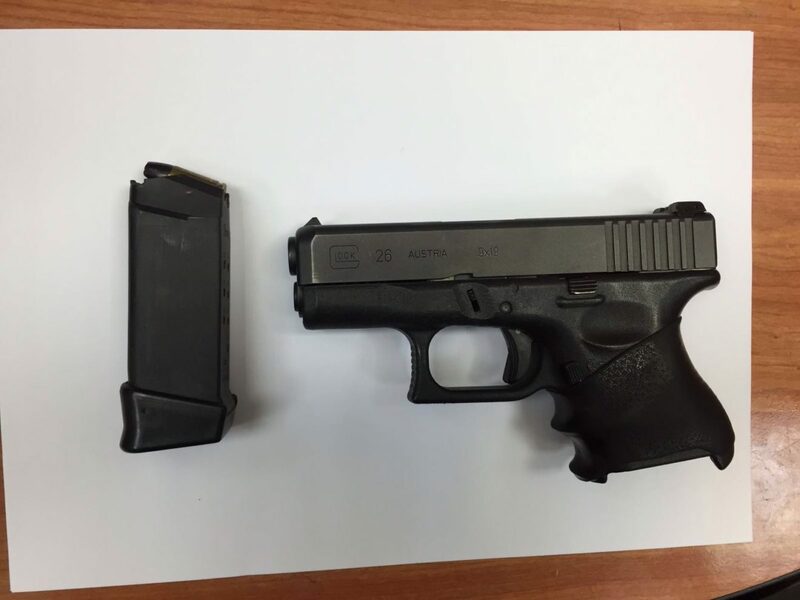 Unlike the 19, which could be considered an identical, albeit smaller, twin of the Glock 17 – the 26 wasn’t just a shorter version of the standard-sized Glock. It has a slightly different build. There are some interesting differences between the Glock 19 vs Glock 26. The differences lessen when it comes to the Gen4 series, but they still exist. The Gen4 series handguns are similar in the sense that they have replaceable back panels, textured grip, and a larger, reversible magazine release button. Those features exist for the Glock 26 gen 4 as well as the Glock 19 gen 4. Initially, the Glock 26 came out with a different frame, a different spring and locking mechanism, a shorter barrel, shorter slide and smaller grip. Different add-ons – such as grips, magazine extensions, and magazine well inserts – can help larger hands get a better grip on subcompact guns, but those are all aftermarket products. As a standalone weapon, the Glock 26 main advantage is its concealability. The 26 is so small, you could carry it around in a pocket holster and barely even feel it. The magazine capacity standards vary, but the 26 will take any 9mm Glock magazine – 10 / 15 / 17 / 33. It can even be used with a 50 or 100-round drum. This doesn’t necessarily work the other way around. The 26 was released in 1995 with dual springs, and later on many of the Glock handguns caught on, and were re-introduced as Gen4 series models with dual springs. Stability is a very common issue. The 26’s grip is two-fingered, and that can affect the stability of your shot. Recoil comes into action, and suddenly there is another player in the game. For this reason, you have to practice, and this is true of all firearm models. Practice makes perfect. If you want to manage recoil, you need to spend some time learning how to do so. Speaking of training, another aspect is hand fatigue. When I’m at the range, after many rounds, the subcompact’s grip could cause my hand to grow tired and sore. This is not exclusively a G26 issue. It is like that with many subcompact handguns, from what I have seen and fired. With the compact, hand fatigue happens, but probably at a slower rate. Just something else to consider. This is why it is ideal to shoot both before deciding on purchasing one or the other. Hand fatigue could be helped by use of grip extensions or a similar accessory. Some say that if you are going to add a grip extension on your subcompact, then why not benefit from the longer barrel and slide, and just go for the compact sized 19 from the beginning? That is a good question, and my answer has a lot to do with concealability. I find I can conceal the 26 easier. Gun ownership and carrying are a very personal thing. The phrase “your mileage may vary” applies here to the fullest extent. The Glock 19 has a larger sight radius, and this could potentially improve accuracy. Both guns are accurate, which is part of what made them so successful. If the guns looked and felt great, but could not be trusted to fire accurately, they would be kind of useless. If you would put them both to a proper test, in a factory or weapons laboratory, the differences in accuracy would probably be minimal. So many things to take into account when choosing between these two models, the G19 and G26. Different purposes, different grip sizes, different conditions. The best thing to do, for the average shooter, is go the range and try them both out. See how you handle each one. After that, come other considerations such as weight, size, concealability, and ammo type. Some EDC take the G19 in the winter, with layered clothing, and carry the 26 in the summer, in the pocket of their shorts. What is important to understand is that either one is a good choice. If one works for you better than the other, use it. You need to find your own personal ‘sweet spot’. One thing which most shooters can agree on: the Glock 19 and Baby Glock are ideal for EDC. 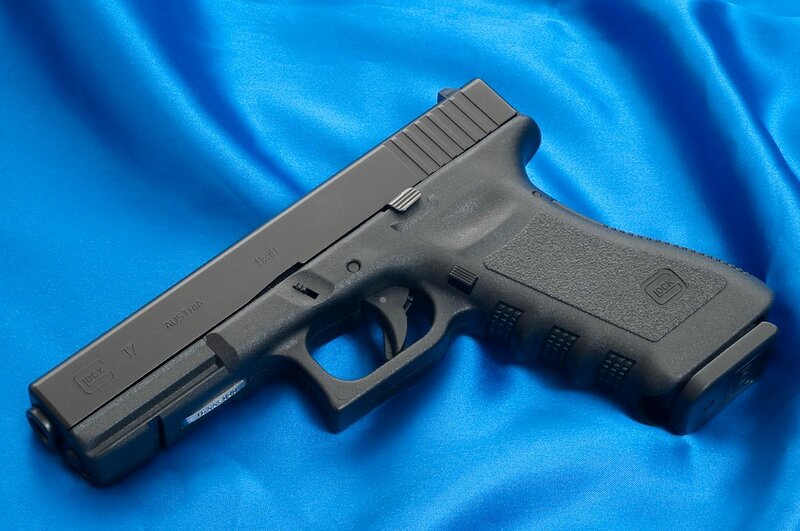 If your plan is to get a gun to keep at home, consider getting the full size Glock 17. It will give you a longer barrel and improved accuracy. Many encounters at home occur at short distances, and your G17 – with its larger standard magazine and full sized grip – could be your best chance of neutralizing any threat close to home. Now, back to the compact and subcompact models. 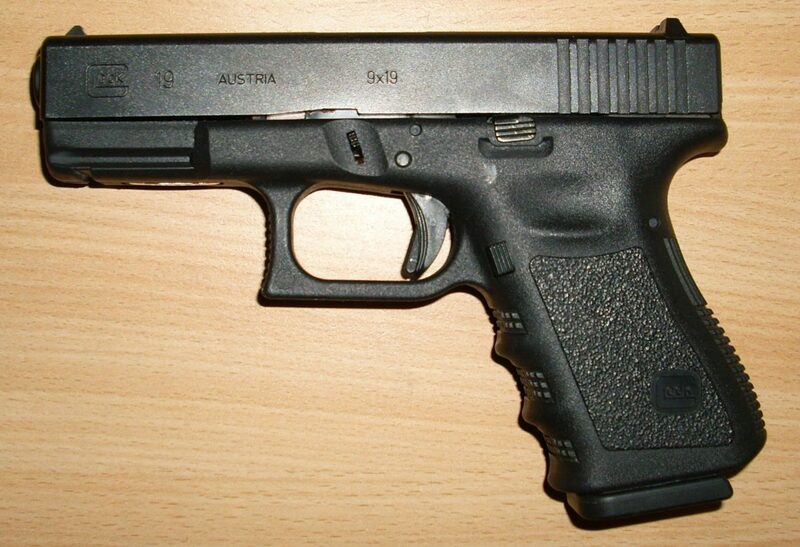 A G26 can become a G19, using extensions and a 15-round magazine. A G19 cannot become a G26, which is why the 26 has an advantage in many people’s opinion. Then again, there are those who joined the craze of the mid-1990s, when the Glock 26 came out, but later found they prefer the 19. Remember: the point of this – or any “versus” post/video, for that matter – should not be to sway the reader/viewer in any specific direction, but to lay down the pros and cons, and considerations which should be taken into account. It is impractical to simply tell someone which gun to use, whether it is for home defense, EDC (concealed or open), or for your car safe. You must go out, invest some time, and find out for yourself which gun fits your needs. Stay armed, stay safe, and stay vigilant.